IPT Fitness Ltd (Known as IPT) is a Personal Training Gym specialising in One on One Training, Group Training, and Nutrition. IPT is committed to protecting the privacy of its clients and users of its website. Under the Data Protection Act 1998 and the General Data Protection Regulations (EU) 2016/679 we do comply with certain requirements which are designed to ensure that you know exactly how we handle your data. We want to provide a safe and secure user experience and will ensure that the information you submit to us via our website or other websites portals is used solely for the purposes set out in this policy. Who does IPT Fitness process information about? Current and past clients, suppliers, professional experts, enquirers, and employees. The information we gather we deem essential to complete our role as your personal trainer. When you contact us by methods including post, email, telephone, fax or SMS, or our website www.iptfitness.co.uk personal information that you disclose to us may be stored. Personal Information from Children is not knowingly collected from individuals under 16 years of age without the permission of their parent or guardian. Parents and legal guardians are asked not to allow your children to submit personal information without your permission. Where will the Data be stored and for how long? Client data will be stored on ‘Get Timely’, ‘BodyTracker’, ‘FitBot’, ‘MyPTHub’, ‘iCloud’ and hard copies of medical forms in a locked fire proof cabinet. A copy of any data we hold on you can be requested by you at any point. You have the right to withdraw at any point to partaking in any of the data submission, testing or monitoring outlined above. IPT are required by law to hold your information for as long as is necessary to comply with our statutory and contractual obligations and in accordance with our legitimate interests as a data controller. How does IPT Fitness use Data Submitted? What are the reasons/purposes for processing information? IPT Fitness sometimes need to share the personal information processed with the individual themself and also with other organizations. Where this is necessary IPT Fitness is required to comply with all aspects of the Data Protection Act (DPA). It may sometimes be necessary to transfer personal information overseas. When this is needed, information is only shared within the European Economic Area (EEA). Any transfers made will be in full compliance with all aspects of the data protection act. Monitor staff when carrying out work duties. The public and those inside, entering or in the immediate vicinity of the area under surveillance. How is the Data Shared When Necessary? A cookie is a small file which asks permission to be placed on your computer’s hard drive. Once you agree the file is added and the cookie helps analyse web traffic. We gather information and statistics collectively about all visitors to our website, for example which location users access our site from most frequently and which pages users visit the most. We only use this data in the aggregate form. This information helps us create a better overall user experience before the data is removed from the system. You have the right at any time to ask us for a copy of the information that we hold about you although we may ask you to verify your identity and for more information about your request. Where we are legally obliged to do so we may refuse your request. If this is the case we will give you reasons for doing so. You also have the right to ask IPT to stop using and remove your information. However, if this involves a request for deletion of your file, please be aware that we may not be required or able to do so where your file also holds information about our clients or financial information that we need to keep for periods of up to six years, i.e. that relate to tax matters. Where we are unable to comply with your request we will provide reasons for failing to do so. 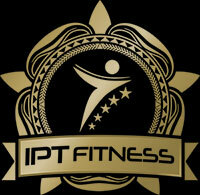 IPT Fitness Ltd is an equal opportunities employer and a company committed to diversity. This means that all job applicants and members of staff will receive equal treatment and that we will not discriminate on grounds of gender, marital status, race, ethnic origin, colour, nationality, disability, sexual orientation, religion or age. As part of our commitment to equal opportunities we may from time to time use information provided by you for the purposes of diversity monitoring. All such information will be used on an anonymised basis and is not retained.